Hi mommies! 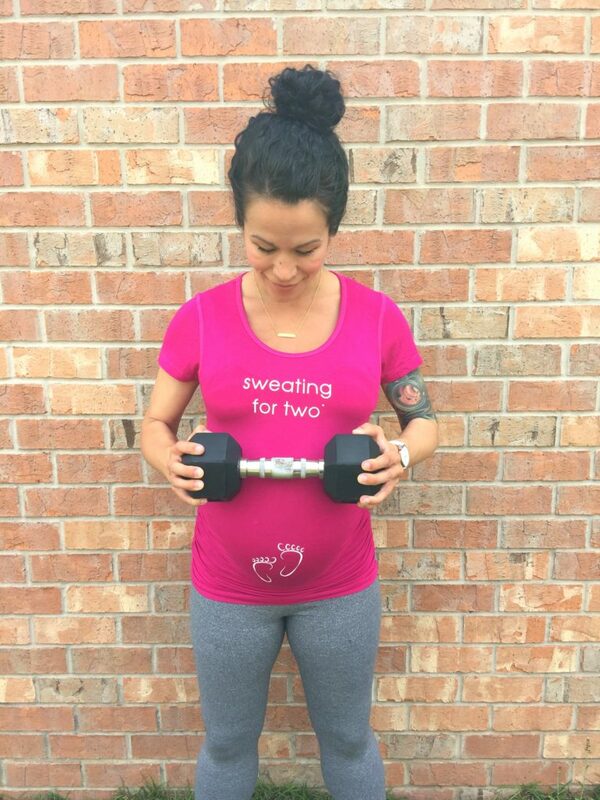 For those of you who are expecting, I am back with something so cute and adorable from For Two Fitness®. 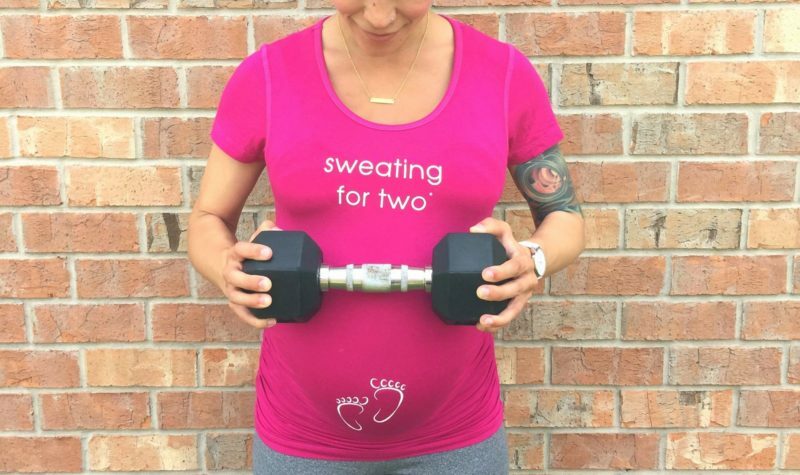 I am no stranger to the brand as I have worn their maternity workout capris and tanks before, but this time, I had the chance to try out the Sweating For Two® short sleeved tee. 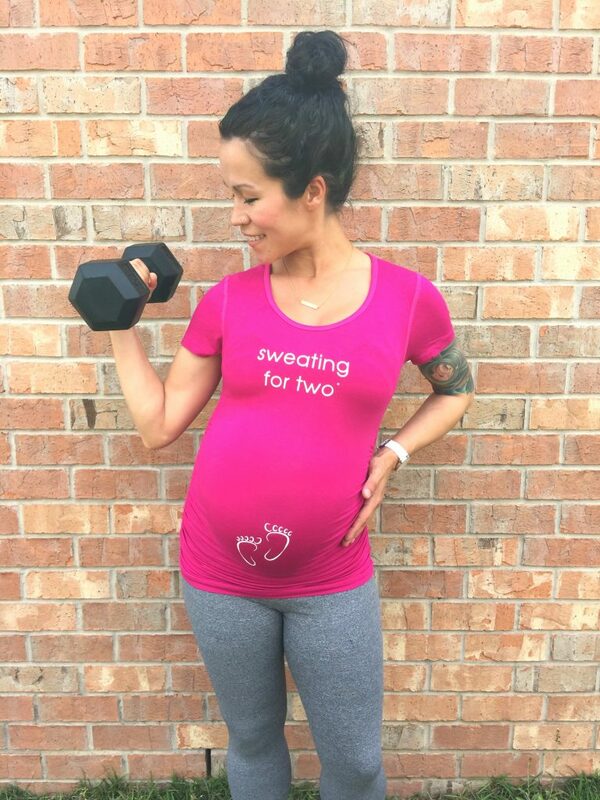 This cute style features two itty bitty little feet on the tummy area which makes this tee wonderful for announcing a pregnancy or just being proud that you are carrying a little miracle inside of your tummy while staying fit for two. Not a fan of the short sleeved style or the color? No worries as this tee also comes in sleeveless and long sleeve and a variety of other colors to choose from! 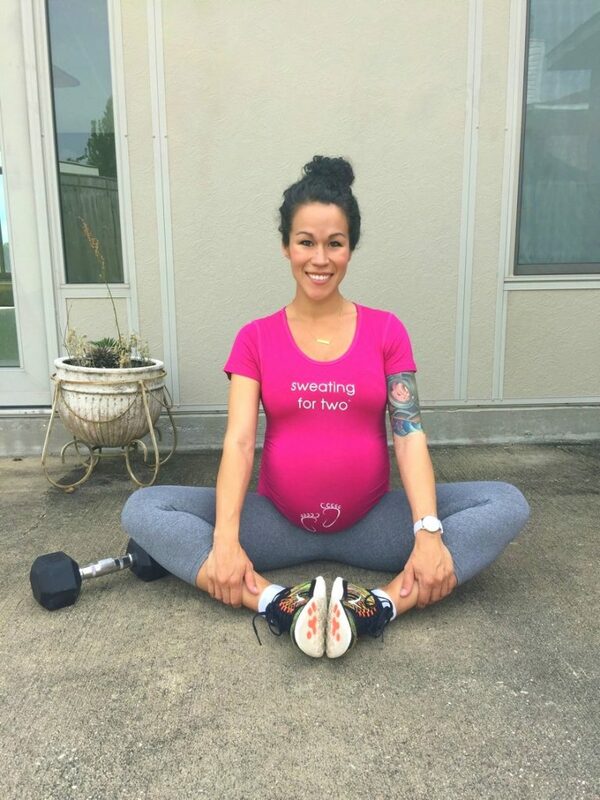 I found this shirt remarkably easy to workout in and breathable as can be-even after I completed my 30 minutes of running aka “sweating for two!” However, I am not surprised since everything from For Two Fitness® is super high quality that you cannot really find anywhere else when it comes to maternity workout clothing! This high performance maternity workout tee features ruching on the side which allows the tee to fit you perfectly as your bump grows. Think of it as if the tee is “growing” with you which still offering full coverage. The fabric is oh so soft, moisture wicked, and high end quality. If you are pregnant, I would highly recommend at least getting one shirt! Tanks and tees without slogans and more! To grab one to suit your fitness interest, click here! Please know that you will not find these tees with these adorable slogans anywhere else as these are specically made for For Two Fitness® only! Now, here is a chance for one of you ladies to win your very own tee! Giveaway ends on the 19th! Disclaimer: I was given For Two Fitness® product to wear test, at no cost to showcase their amazing maternity fitness apparel. All opinions are my own.